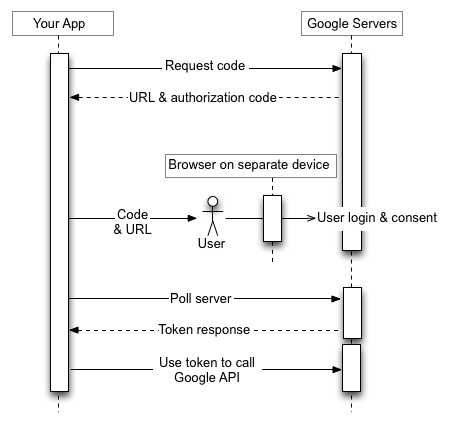 Web Services resource-adapter can be configured to participate in OAuth 1.0a and OAuth2 authentication schemes. Using Teiid along with "ws" translator and "web-services" resource adapter once write applications communicating with web sites like Google and Twitter. To accommodate above defined flow, Teiid provides a utility called "teiid-oauth-util.sh" or "teiid-oauth-util.bat" for windows in the "bin" directory of your server installation. By executing this utility, it will ask for various keys/secrets and URLs for the generating the Access Token that is used in the OAuth authentication and in the end output a XML fragment like below. Then, any query written using the "ws" translator and above resource-adapter will be automatically Authorized with the target web site using OAuth, when you access a protected URL. details dynamically. Since this process will be different for different web sites (it involves login and authentication), Teiid will not be able to provide single solution. However, user can extend the login module to provide this feature much more easily since they will be working with targeted web sites.